Stewart Plumbing & Heating, Inc.
At Stewart Plumbing & Heating, we have worked for over 17 years to provide the best possible services for every client within our community of Southern Worcester County while treating them, their home or business, and their time with the utmost respect. Every member of our team is fully licensed, insured, and experienced in order to give you confidence in choosing us for your plumbing and heating service needs. We have built our business on treating our clients and their homes with the utmost respect to maintain a strong relationship for future business. Our goal is to be your most trusted sourced of plumbing and heating services, whether that be for new system installations, existing system repairs, or even whole-home piping. 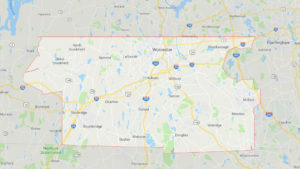 Stewart Plumbing & Heating has been providing the Southern Worcester County area with professional plumbing and heating installation and repair services for over 17 years. We pride ourselves on building strong client relationships and maintain high standards of workmanship.